To kick off opening weekend at the 2015 World Series of Poker, Event #5 ($565 Colossus No-Limit Hold’em) will feature two starting days, four starting flights (two a day on Fri. May 29 & Sat. May 30 at 10 am and 6 pm) with a minimum prize pool up for grabs of $5,000,000. Players eliminated in a flight may enter any of the others. 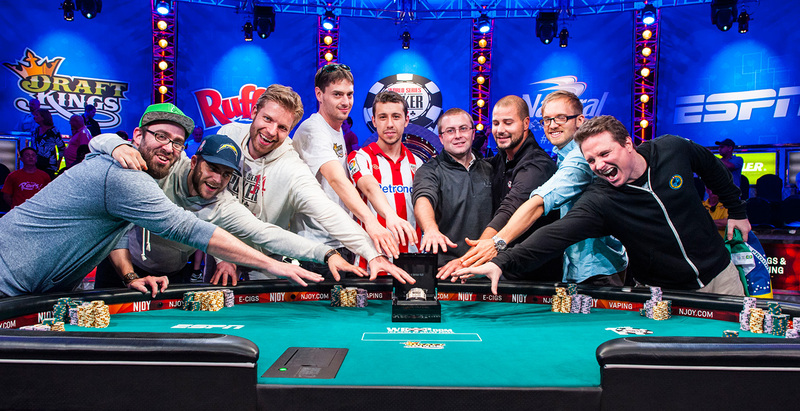 We expect this to be the largest poker tournament ever held in terms of participants. 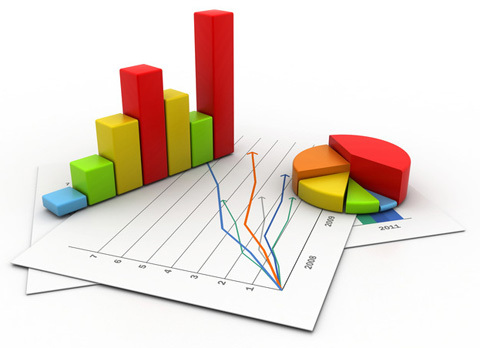 We want you to be part of the record field and have some helpful information if you plan on participating. Day 1: all flights will play ten, 40-minute levels which equates to 7 hours, 45 minutes of real time. 10 am flights are estimated to end at 5:45 pm. Day 2 of the tournament will be on Sunday, May 31. Time is TBD, but likely at 1:00 pm the earliest. Day 3 of the tournament will begin on Monday, June 1 at 1:00 pm in the Amazon Room. For remaining players, Day 4 will begin at 1:00 pm on Tuesday, June 2 in the Amazon Room. Players may forfeit their current chip stack at the end of the flight prior to bagging if they choose for the opportunity to re-enter another flight. But once that decision has been made, there is no rescinding. We encourage everyone to pre-register as we expect this to be the most popular event of WSOP. 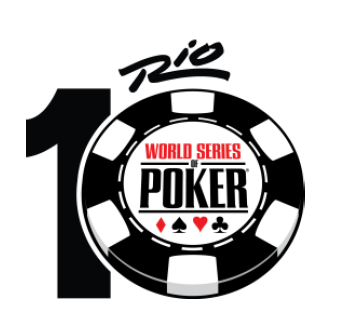 For those that pre-register in advance, once you are on-site, you simply report to the specially designated Information Desk in the Rio Convention Center Rotunda across from the WSOP Retail Store to get your seat assignment and receipt. Photo I.D. required. Pre-register online now! http://www.wsop.com/registration/. Online registration closes for the Colossus on May 12. Or pre-register in person at the Rio Main Casino Cage now through May 26. Beginning May 27 at 8 am, the WSOP Cage in the Rio Convention Center will open and remain open 24 hours a day, where you can register and receive your seat assignment for this event. Best time to register for this event is between 8 pm and 8 am. Busiest times are between 9 am and 8 pm. Players are encouraged to register for all flights they wish to play all at once. (One registration per flight). If a player survives a flight with chips, he/she will receive a refund for any un-entered flights. Seats are non-transferable. Only player with name on seat card may enter the event. 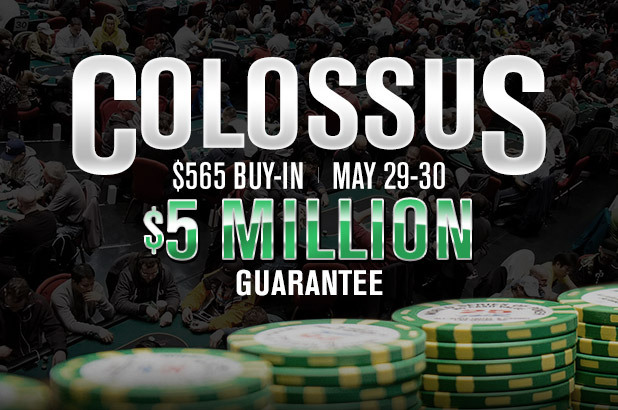 Refunds for the Colossus will only be processed starting Sunday, May 31 at 1:00 pm. In order to receive a refund, players must take their unused seat card, receipt, I.D. and Total Rewards Card to the Payouts & Player Services Office in the Diamond/Seven Star side of the WSOP Main Cage. No refunds will be processed for Colossus players before 5/31 at 1 pm. The refund process is different for this event and is required to allow enough time for organizers to properly reconcile/balance Colossus registrants and ensure a successful process to register entrants into the event. The tournament is expected to be completed on Tuesday, June 2. Depending on the final number of entries, the tournament may extend until Wednesday. The final table will be live streamed on www.WSOP.com/live. Final prize pool information won’t be known until registration for the event officially closes, but WSOP officials anticipate a huge turnout for this event and will post prize pool information as soon as official. We are planning to accommodate late waves if need be. Table and details below. We do not have unlimited capacity and expect some if not all flights to fill to our limits. If you have a seat assignment for a flight, you are strongly encouraged to begin your flight at its scheduled start time. After two levels of play, if you aren’t seated, your seat will be re-allocated and your spot voided. The No Show Policy outlined in the 2015 WSOP Tournament Rules states: Any participant who has not taken a hand by the start of the third level will be considered a “no show.” These participants will have their chips removed from play and will not be eligible to participate in that flight. The buy-ins for “no shows” will be removed from the prize pool and placed on safekeeping in that participant’s name at the Main WSOP Registration cage after the second level of play. Players will start with 5,000 in chips when they are seated to begin play. Players in 10am flights must be seated by 11:20am. After 11:20am, players will have their seat voided if they haven’t shown. This seat is subject to sale to other players, with original player only eligible for other flights. Players in 6 pm flights must be in their seat by 7:20 pm. After 7:20, players will have their seat voided if they haven’t shown. This seat is subject to sale to other players, with original player only eligible for other flights. We expect to begin play 10-handed in order to accommodate the large fields anticipated. Play will break down to 9-handed as soon as possible and the remainder of play is intended as 9-handed poker. The 10 am flights are able to seat approximately 4,600 entries at the start of play. The 6 pm flights are expected to be able to seat approximately 4,000 entries at the start of play. We intend to seat two “late waves” for each flight if needed. Players will be seated with a 5,000-chip starting stack, but will enter the event at the current level/blinds the event is at when you are seated. Players will be assigned seats on a first-come, first-serve basis. Once we have reached the flight’s initial capacity, registration for that starting flight closes. We will then sell seats to Late Wave Flight 1 (approx. 750 seats) and once we have sold all those seats, we will only sell Late Wave Flight 2 (approx. 1,000 seats). Players can choose to enter a Late Wave Flight or register for another available starting flight if seating remains available. For Event 5A (10 am Fri. May 29), Late Wave Flight 1 will be sat between 12:25 pm and 1:40 pm, which means you will be sat somewhere in Level 4 or Level 5. Level 4 will have blinds of 100-200. Level 5 will have the same blinds, with an added 25 ante. For Event 5A, Late Wave Flight 2 will be sat between 2:45 pm and 4:00 pm, which means you will be sat somewhere in Level 7 or Level 8. Level 7 will have blinds of 200-400 with a 50 ante. Level 8 will have blinds of 250-500 with a 50 ante. For Event 5B (6 pm Fri. May 29), Late Wave Flight 3 will be sat between 8:25 pm and 9:40 pm, which means you will be sat somewhere in Level 4 or Level 5. Level 4 will have blinds of 100-200. Level 5 will have the same blinds, with an added 25 ante. For Event 5B, Late Wave Flight 4 will be sat between 10:45 pm and 12:00 midnight, which means you will be sat somewhere in Level 7 or Level 8. Level 7 will have blinds of 200-400 with a 50 ante. Level 8 will have blinds of 250-500 with a 50 ante. For Event 5C (10 am Sat. May 30) Late Wave Flight 5 will be sat between 12:25 pm and 1:40 pm, which means you will be sat somewhere in Level 4 or Level 5. Level 4 will have blinds of 100-200. Level 5 will have the same blinds, with an added 25 ante. For Event 5C, Late Wave Flight 6 will be sat between 2:45 pm and 4:00 pm, which means you will be sat somewhere in Level 7 or Level 8. Level 7 will have blinds of 200-400 with a 50 ante. Level 8 will have blinds of 250-500 with a 50 ante. For Event 5D (6 pm Sat. May 30) Late Wave Flight 7 will be sat between 8:25 pm and 9:40 pm, which means you will be sat somewhere in Level 4 or Level 5. Level 4 will have blinds of 100-200. Level 5 will have the same blinds, with an added 25 ante. For Event 5D, Late Wave Flight 8 will be sat between 10:45 pm and 12:00 midnight, which means you will be sat somewhere in Level 7 or Level 8. Level 7 will have blinds of 200-400 with a 50 ante. Level 8 will have blinds of 250-500 with a 50 ante. All players in Late Wave Flights are to report to the table and seat assigned on their seat card at the beginning of their expected start time. So for Late Wave Flights 1 and 5 that will be 12:25 pm. For Late Wave Flights 2 and 6 that will be 2:45. For Late Wave Flights 3 and 7 that will be 8:25 pm. For Late Wave Flights 4 and 8 that will be 10:45 pm. Players should remain in area of their assigned table in event table is not yet available and be prepared to take their seats as soon as tournament staff indicates its availability.